Holey Moley.I'm tired of the race card already! This is crazymaking all around! FFS what the hell is a black person anyway? I am taught there is no such thing as a black race. Can't she run her campaign on a different platform and not the obvious one? Sheesh! As for the visit already it isn't about the charity but rather about Murky. Bad move. PS mods sorry if too far but seriously this person bugs me with her race card sympathise with me or else bully routine... and to think PH is going tp marry THAT?!!? So, are we thinking the RF are letting her go to this event and are going to gauge the sentiment (online and otherwise) to decide what the next move is? ^What sort of action other than detailed descriptions of MM’s attire do you expect? There is no legitimate reason for her to be there other than to expose her to the public. Unless she hands over a substantial check, for the org, her presence is pointless. She could fully brief herself on this group’s initiatives without tagging along with Harry on this. It also distracts at this point. No one is going to even remember the group’s name. It’s, hopefully, to get a glory shot. ^she wont let Harry speak as she'll take "Centre stage" and talk about how she identifies with "the struggle of her people" as she hangs onto him and tries to look concerned which will be hard to do with her noticed face. The best thing would be for this farce to come to a crashing end so Harry could attend the meeting alone and in peace. Kate accompanied William to several Royal engagements at different locales during their engagement. I remember her with her hair blowing everywhere christening a lifeboat. Meghan is doing the same sort of thing with Harry. No difference, IMO. to volunteer at least 150 hours a year. My Grandmother used to tell us. " It doesn't matter who the mailman is. It's only important that your mail is delivered. " The more attention the better, because when it's all said and done it's about the kids. Lord knows there is not a need for another sailing charity. ^true, it's about the kids and the cause, but she'll show up to this engagement with everything on her for sale. She'll make money merchandising like she did during the Notingham one where she had that large bag. She's disgusting and could care less about anything else but what she wants. I hope that she doesn't go because I'd rather hear about what's going on in Brixton even though it's not as bad as it once was, then look at her "ugly" face and hear about her fashion choice and ow much her outfit cost and where you can buy it. The whole thing's bizarre in that she's the antitheses of who Harry would be with if he was serious about his causes which I believe that he is. So I'm not going to write him off just yet, but soon if this continues on much longer though. The charities and causes that his patron of or just lends his support deserve much better than this Harry who's turning into a lying z list celebrity like his so called fiancé. The problem is that somewhere along the line the BRF stopped being seen as public servants, albeit highly privileged ones, and became celebrities. So, their events, however well meaning, became fashion shows and popularity contests. At that point, the charity suffers. They take a back seat to the "show". Therefore, another problem with Sparkles is that she magnifies the whole showbiz factor because that's precisely who she is, a personality. She is not a long-bred soldier of the U.K. with a built in awareness of how to best walk that thin line between birth privilege and public service without ending up on the cover of Vogue or enhancing her own image. ^very true. I think the press wants a this kind of person in the royal family because it gives them something to write about other than what a lot of the reporters think are mundane repetitious engagements. Mehgan offers them endless clickbait articles because she's so unsuitable and loves the press attention. She's a celebrity who's concern is herself. I think things turned bad when Harry and Wills started falling out of fancy night clubs and were seen acting less than proper where Harry slugged a photographer or Wills was swanning around on Waity's uncles hatch seeming acting like a rich privileged layabout instead of a future king. Their actions got them front page coverage and articles in the trashy gossip magazines. There was a point where they did get back on track, but Harry's Vegas scandal brought him back down to the gutter press. He seemed to have climbed out of the gutter press, but the regular press was getting board because they felt he's much more interesting if he had a girlfriend, so they kept writing him linking him to one actress, singer, model, etc. It's no bad with this click-bait culture where now he's cemented imself back into the gutter press with Mehgan. He's also giving the press what they think they'd like the royal family to be; vapid, lying celebrities with one tacky situation/drama after the other.Because he keeps on about how the younger generation should put down their phones and do actual work in helping each other, I somehow think that this charade is in aid of that; how this click-bait culture and putting out false narrative like Mehgan does can ruin lives. Right now, she's no friends and her family's fractured. She uses her mum when she needs to but discarded her to be with the royals for her Christmas photo op. Now she's openly mocked sarcastically by the press and racked over the coals by the public comments in the press and on social media. What can she actually say to the kids that she'll meet in Brixton? She's a user, chanced, manipulator and a strumpet social climber who doesn't care about Harry or anything other than her gratification in material things. ^^ I don't think the Queen, Duke of Edinburgh, Charles or Anne, present themselves as celebrities or think of themselves as such. The trouble is that the media used to (pre Diana) portray the BRF as elitist, cold and out of touch, and therefore the younger royals have been encouraged by media advisers to portray themselves as in touch with the modern man (and woman) on the street. It's a very thin line that modern younger senior royals walk, and the British media sometimes delights in playing up the celebrity angle in their articles and docos. Never did I mention HM, the DoE or PA. Nor is anyone allowed to bring in comparisons. Last reminder. The media cannot take the full hit for this, either. They only print what they see and although I agree that they run with the celebrity narrative, why shouldn't they when that is exactly how some behave? There's no sign of understated, reserved behavior in evidence to admire. Skirts fly up, TV "stars", glamor shots, parties, screaming privacy when it suits them, blah blah. Why not follow the example set before them? Are there not enough castles to rest and play in? Not enough flunkies and servants to satisfy every whim? It's absurd. Rosella I agree with you in the first part and in that part. I think .... younger royalty is more interested/concerned with popularity than with respect. This is one of William and Harry's biggest mistakes. I work in the medical field and an older patient of mine mentioned she never thought she lived to see a black female doctor in combat boots and then we were off to the monarchy. She is over 80 a British monarchist, who hates that since the 1970's The Royal Family handles "these arrangements" (her words ) like beauty pageants or award show campaigns. Unbelievably, after 45 minutes I agreed. She kept pointing at my uniform saying, "service before self". That they knew The Royal Family spent above their means but it wasn't flaunted. Also, engagements weren't called work. The Press of always been interested in what the Royal women have worn. 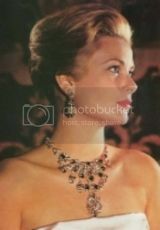 Look at articles when the Queen mom was the Duchess of York. But when Diana came on the scene it escalated into celebrity status because of who she is and was. Everybody's interested in her boys and they both married,cwill marry attractive women who are making fashion statements and now we have the internet and Twitter and all those things which makes it multimedia now. that is what happened and how it evolved into British Hollywood that the taxpayers have to foot both by giving the money and allowing them incredible tax breaks so they can invest a personal money and make even more. The only solution is get rid of the monarchy and take back your lands and make them for public use. But I bet the Press will still be talking about Kate and Megan and what they're wearing and where they're living.